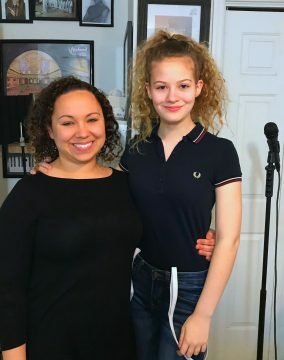 Voice Lessons Sign Up - Voicercise removed the limits from a singers self expression, by given them the foundation, vocal control and range to give you the confidence they've been looking for. "I truly believe that singing talent comes from within. " " Nobody can find singing talent in you, if it didn't exist in the first place. "Sometimes a person needs help bringing it out. And it's my honor and privilege to do just that." " Confidence is defined as the ability to make your voice do exactly what you intended & not something else." " In accomplishing that, they can truly sing with freedom and ease. " " That is what vocal training, full control over high notes, breath and power is for. " What would like to improve about your singing voice?